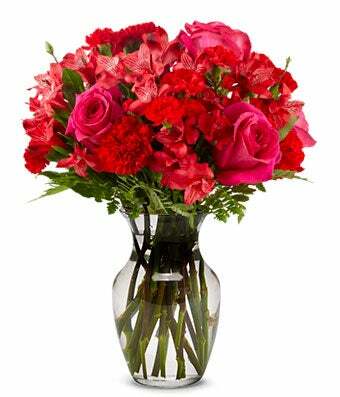 Put the sparkle in your Valentine's eye with this enchanting bouquet! Shades of brilliant reds and deep pinks meld together to create something as precious as your shared love. Approximate arrangement Height 14", Length 12"